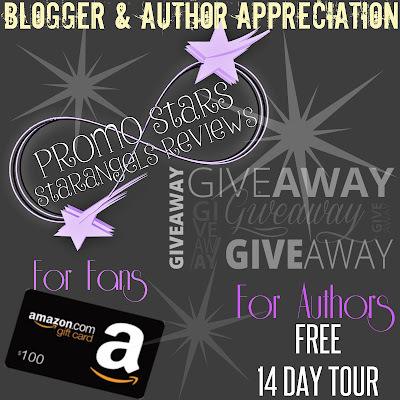 For all the hard work you all do, whether you are a blogger who help out posting tours from Promo Stars....to authors who put their trust in me to promote their books...and finally the readers who help get the word out there about our beloved Indie Authors ---- I am giving away a $100 Amazon Gift Card and a 14 Day Blog Tour. 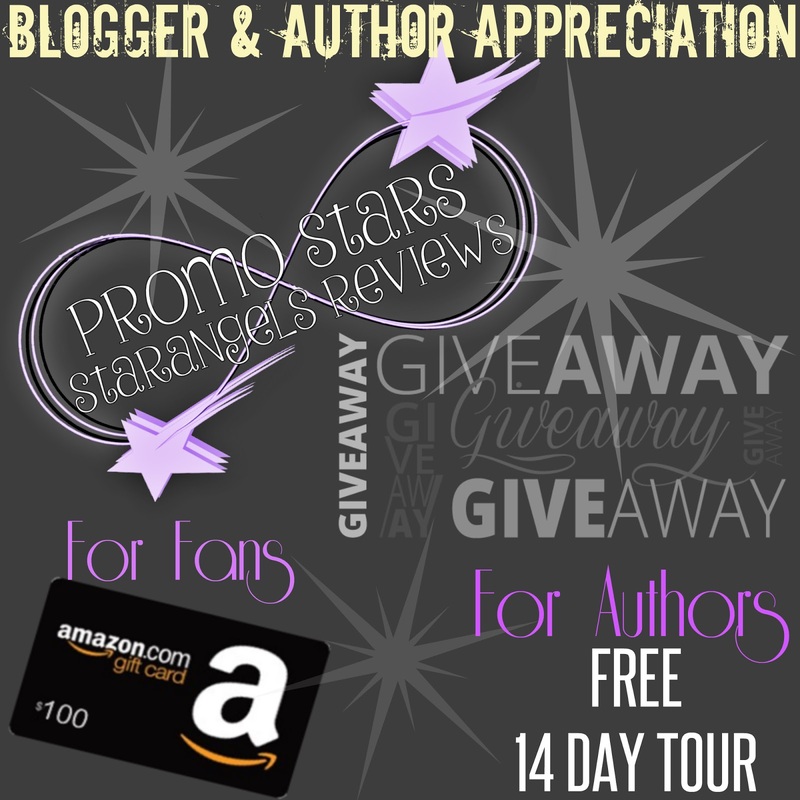 With more and more authors signing up with Promo Stars, I would like to take this opportunity to grow our bloggers/social media shares. I am asking for all the book lovers out there to sign up either to receive a weekly list of events that can be signed up for....or an All Event Tour Host where you can choose which blitzes you want to post without having to fill out forms. I wouldn't be able to do this without all of you!